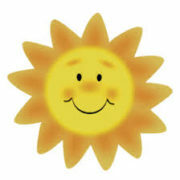 PROVIDING 24/7 COVERAGE DISASTER RECOVERY HELPDESK SUPPORT IT PROJECT MANAGEMENT ANTIVIRUS SOLUTIONS BACKUP MONITORING NETWORK PROTECTION SERVER MIGRATIONS ONSITE IT SUPPORT WEB FILTERING HIPAA MANAGEMENT CLOUD SERVER HOSTING PATIENT ENTERTAINMENT FOR DENTAL PRACTICES ACROSS THE U.S.
We’re a group of people who specialize in IT, but not just general IT–IT for the dental industry. 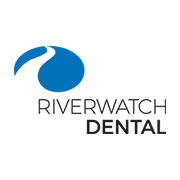 In our 13 years, we’ve grown into one of the largest dental-specific Managed Services Providers in the United States. 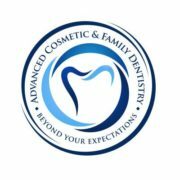 We came about because of a void, and it’s a void we continue to fill because we understand the technology dental practices require to be successful. The “Partners” in our name refers to our partnerships with our clients across the country who count on us as their IT partners. We pride ourselves on developing relationships with our clients. When our clients succeed, we succeed. Whether you have four workstations or 400, you need technology to operate a modern dental practice efficiently. As reliance on technology grows, the need for regular IT support grows as well. At Digital Technology Partners, we offer reliable and cost-effective technology support solutions to keep your practice running optimally at all times. Maintaining a secure network is a necessary part of safely managing your practice’s data. With seemingly countless cybersecurity threats, it’s important to have a knowledgeable IT partner who is familiar with prevention and solutions for the latest security concerns faced by dental professionals. We have a multifaceted approach to ensure the security of our clients and their data. As a covered entity, you have legal requirements. IT shouldn’t be an afterthought; much of HIPAA compliance relies on technology. We’re here to make sure those requirements aren’t left to non-technical consultants, and your practice stays compliant. HIPAA regulations can be overwhelming, but they don’t have to be. Cloud services allow you to exist beyond a single physical location. With its very existence based online, the cloud allows for convenient access from anywhere with an internet connection. 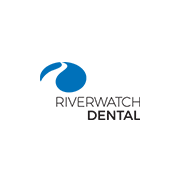 First, I wanted to let you know that Chris King has gone over and beyond for Riverwatch Dental for 10 days. We have had phone problems with our provider that have been hair pulling. Chris gave service you should be proud of on behalf of your company. I always get great service from everyone but Chris understands my humor, my frustration, and always kept me from going crazy. I thank you for having someone on your team with excellent customer service skills and just a great person. Second, Andrew made me work hard for this HIPAA information. I am confident we are going to be safe and up-to-date. It was time consuming, as it should be, but worth every moment of learning. He is thorough, informed and kept me in the loop for everything. Again, superior service all around. From consultation, to product sales, to everyday dental IT support, we offer everything a modern dental practice needs. From consultation and dental office design, to HIPAA compliance consulting, to dental software and hardware, DTP offers everything a modern dental practice needs.